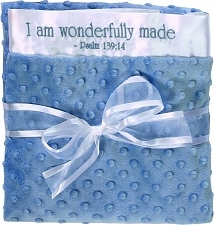 Micro velour and satin baby blanket -- 15" x 15" with the embroidered scripture. 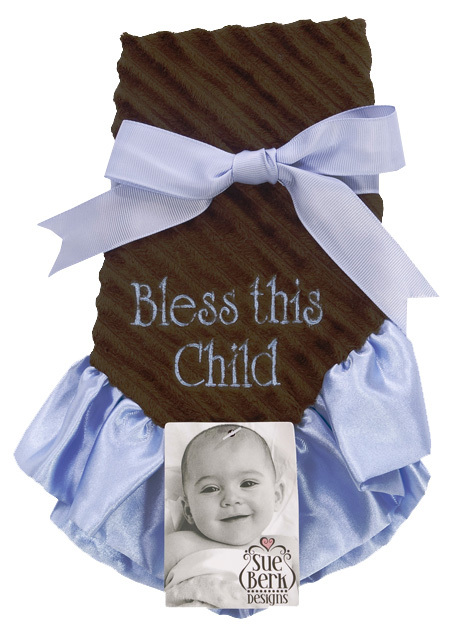 Each comes packaged with a bow. Machine wash and dry.